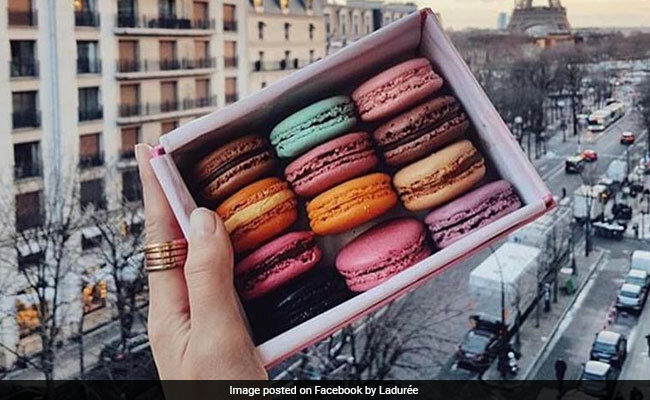 Emmanuel Macron's wife, Brigitte Trogneux, has an interesting connection to the popular French dessert as well! New Delhi: Emmanuel Macron, the pro-European Union centrist politician, tasted sweet victory when he was elected France's next president with over 66 per cent of the votes on Sunday. Twitter being Twitter, however, could only think of one thing. French confectionery. Macarons to be precise. Add one letter to the 39-year-old politician's last name and you get the famous French dessert. #wordplay of the day: @EmmanuelMacron's wife's family firm (Trogneux) are renowned for their macaron d'amiens. Guess where Macron was born? vous saviez que Brigitte Trogneux,femme de Macron,est de la famille de l'inventeur du macaron d'Amiens ?